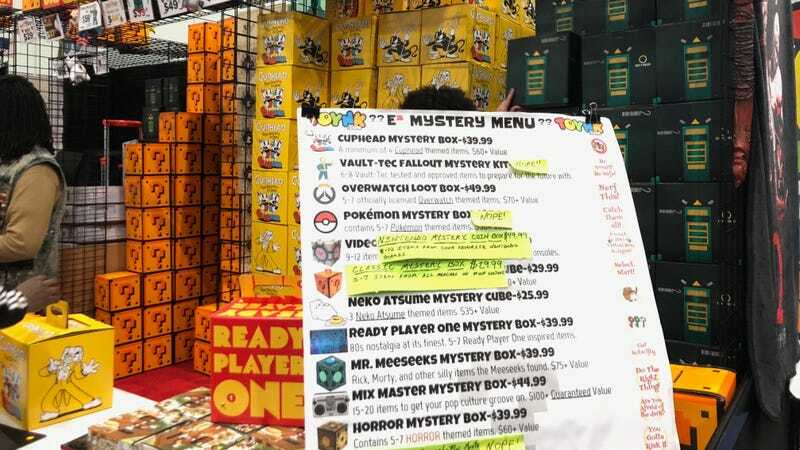 With E3 now open to the public, the show has a lot more things in it for people to buy. With E3 now open to the public, the show has a lot more things in it for people to buy. The most conspicuous were all the carboard boxes people carried around. These boxes contained mysterious amounts of loot and were all the rage. Plenty of comparisons and contrasts to be drawn about that.